1000's of views each month, for a full 6 months. Crazy price! 1000's of views each month, for 12 months. Huge value! 1000's of views each month, forever. Bargain price! * Earn your investment back in a heartbeat. 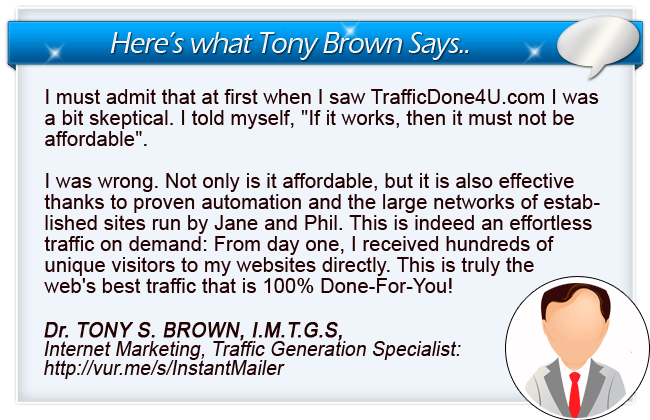 Become a TrafficDone4U reseller - Get paid each Friday. 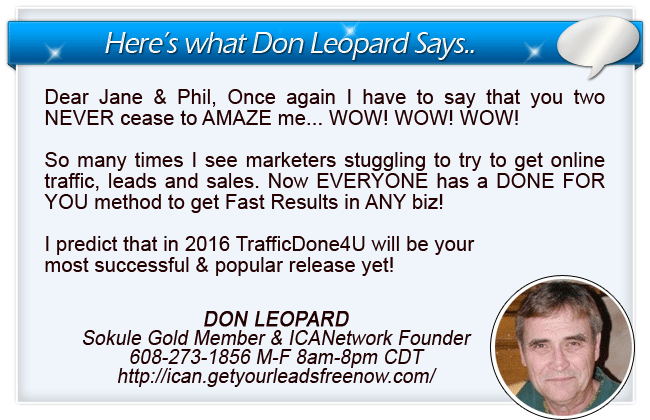 You must be a TrafficDone4U customer to resell this service. Copyright 2019 - JAM Marketing Inc. - All rights Reserved.